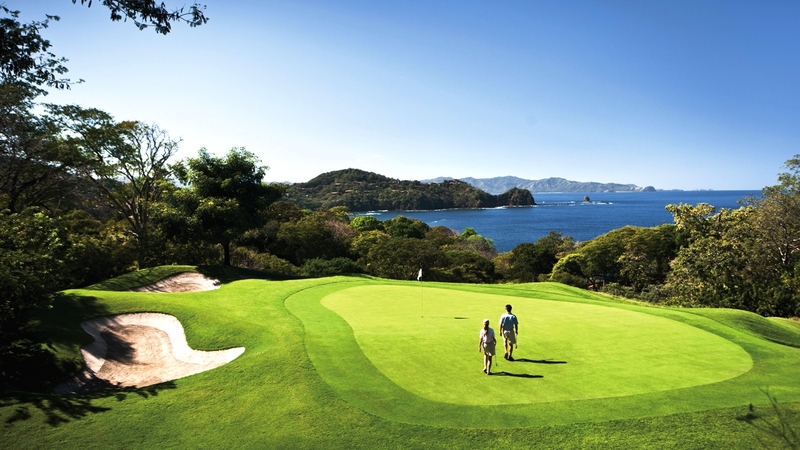 The Ocean Course Peninsula Papagayo in Costa Rica adheres to the commandment that the world’s best golf courses grab your attention before the first tee box. At the Ocean Course’s gated entrance your first case of admiration whiplash is generated by a commissioned sculpture made from imported Italian marble. Anticipation builds as you drive a four-mile-long pathway featuring towering palm trees, glimpses of the Pacific Ocean, and Louvre-worthy shrubbery sparking memories of Edward Scissorhands. About the time your car slows to zero you encounter an architectural marvel. 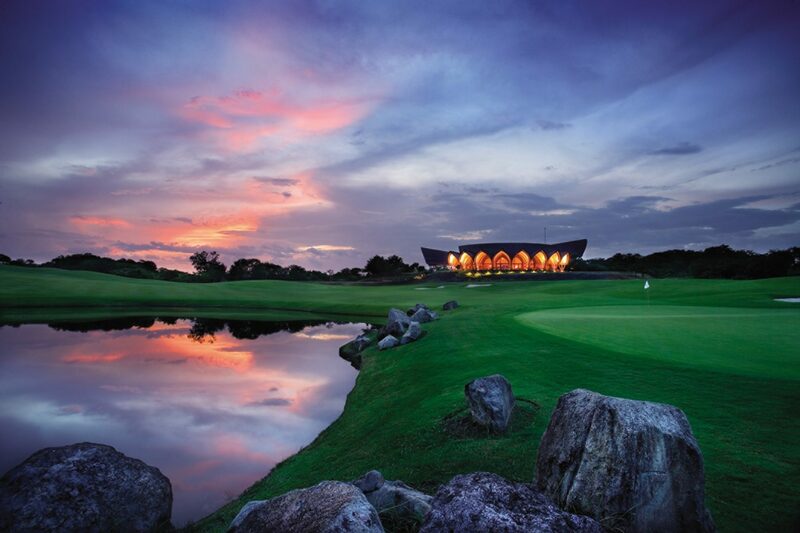 You stare gape-mouthed at the Ronald Zurcher designed clubhouse showcasing a rooftop resembling the armadillos that are native to Costa Rica. As the attendant grabs your clubs, you’re lured like a magnet into the clubhouse. You detour the pro shop and march to the image beckoning from the Caracol Restaurant. 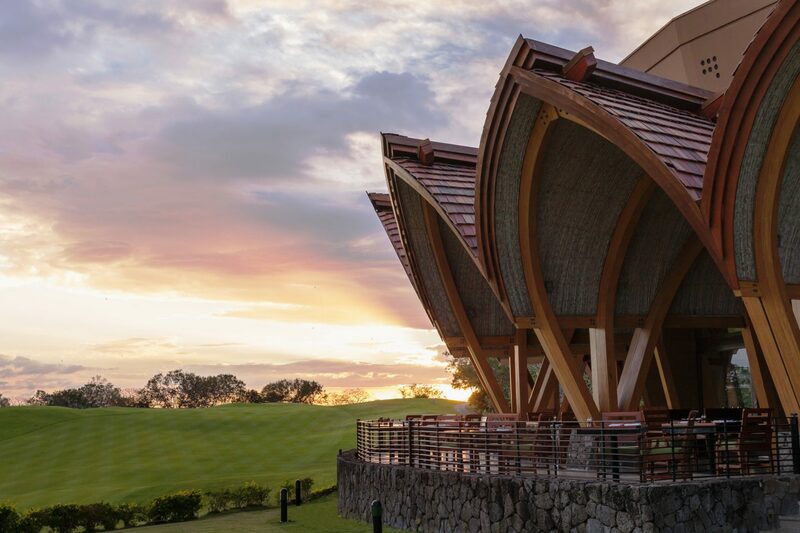 In Spanish, “caracol” means snail, and the curved shell-like ceiling is a first impression “wow.” This visual blitz is exceeded only by the view jutting from the massive 180-degree deck overlooking the 18th hole and beyond to the Pacific. 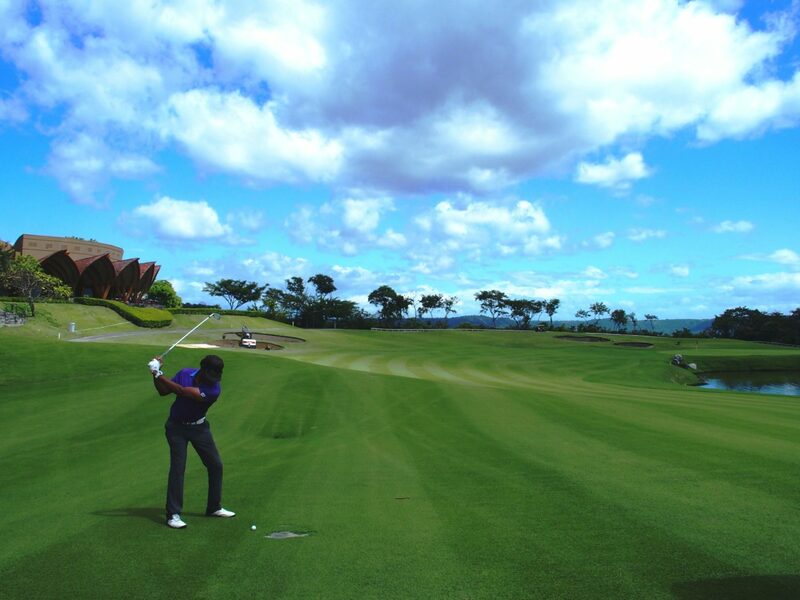 On the Ocean Course’s first tee box, you’re blown away by the radiance of the emerald green fairway. You learn that the Ocean Course is part of the 2,300-acre Four Seasons Resort. The resort is the sole business within a 15-mile radius. 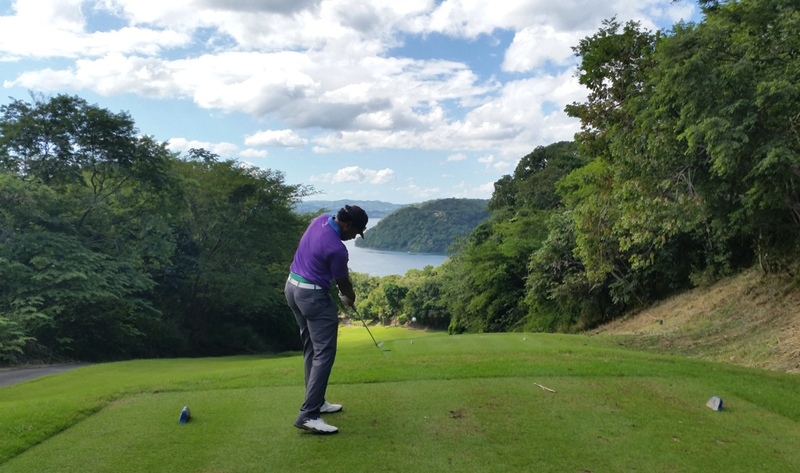 This means that the golf course is the solitary customer tapping into the Peninsula Papagayo aquifer. 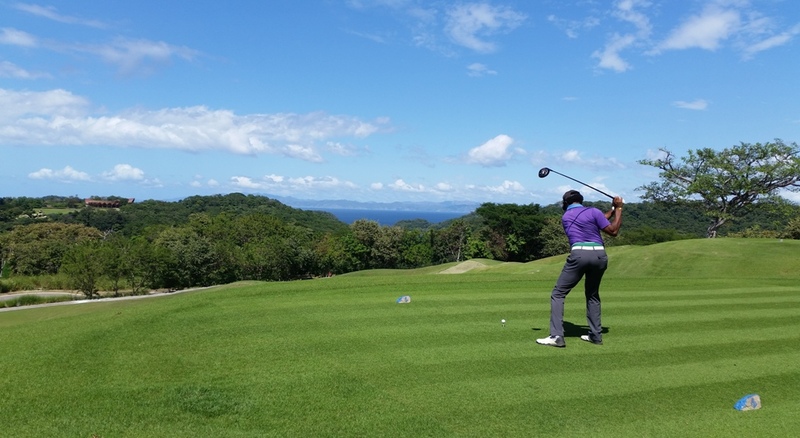 In the Costa Rican region of Guanacaste, it pays to be the only game in town. Upon nearing the second hole putting green you hear a racket clamoring from the trees. Edge closer and discover this tree is a haven for howler monkeys. The Ocean Course is home to a Certified Audobon Sanctuary that includes howlers, white faced monkeys, puma, fox, deer, and enough birdlife to cast an Alfred Hitchcock movie remake. The Ocean Course is a modest 6800 yards, but there are enough wicked turns and imposing ocean shots to make even the most methodical course manager pause before gripping and ripping. Golfers quickly recognize that 13 of Ocean Course’s 18 holes offer views of the Pacific Ocean. 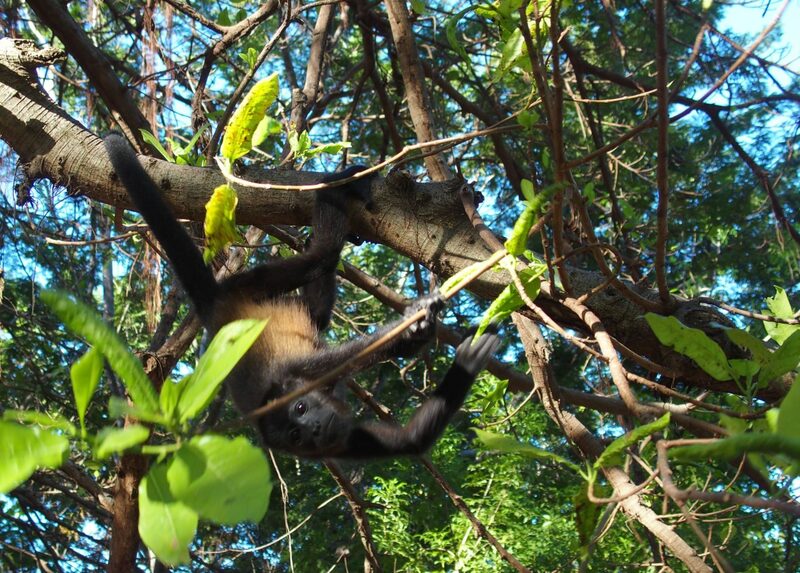 Some vacationers become so endeared with their Peninsula Papagayo surroundings they now call it home. 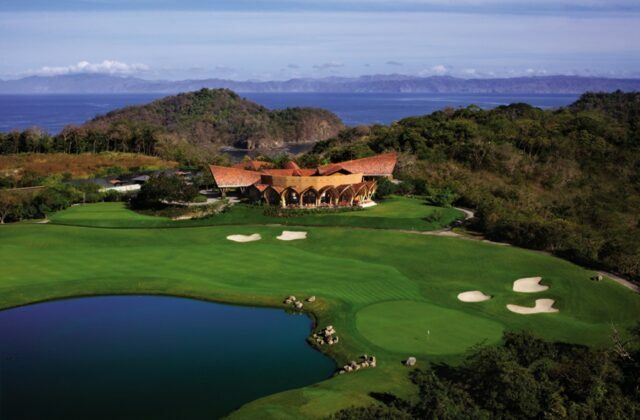 On the back nine you’ll find million dollar Four Seasons residences discreetly built into the woods, on top of cliffs, and positioned to maximize the eco-views that are unique to Costa Rica. After your round, it’s time to recapture the day on the clubhouse deck. With a Costa Rican Imperial beer in one hand and a cigar in the other, you sit back and take in the panoramic view. You flashback to the anticipation created by the marble sculpture, the four mile drive featuring the Pacific Ocean, and the jaw-dropping first look at the armadillo inspired clubhouse roof. Like Arnold Palmer before you, it hits home that there is nothing like this Ocean Course journey into the jungle.